Low-dose naltrexone (LDN) appears to be safe for patients with multiple sclerosis even when taken long term. A paper describing the research, authored by Michael Ludwig of the Department of Neural and Behavioral Sciences at the Pennsylvania University College of Medicine, and colleagues, was published recently in the Multiple Sclerosis Journal -- Experimental, Translational and Clinical. LDN has been studied as a potential treatment for cancer, as well as Crohn’s disease, and fibromyalgia, and each of the trials has been shown to be non-toxic. 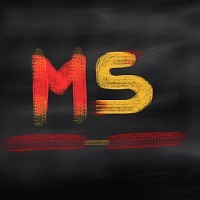 Furthermore, “At least three clinical trials have been published in which LDN was found to increase the quality of life of MS patients with relapsing-remitting multiple sclerosis (RRMS) or secondary progressive MS and significantly improve mental health,” say the researchers. “The purpose of this study is not a prospective efficacy trial, but rather a retrospective study to assess whether those patients on only LDN experienced an exacerbation of MS or had any deleterious events relative to patients prescribed LDN and the DMT,” say the authors.